Off to school wee man! It’s no wonder then that the mums line up at the school gates with the tissues at the ready waiting to see the final glimpses of their little ones as they disappear out of sight ready to take their first independent steps into a world that doesn’t revolve around mummy. 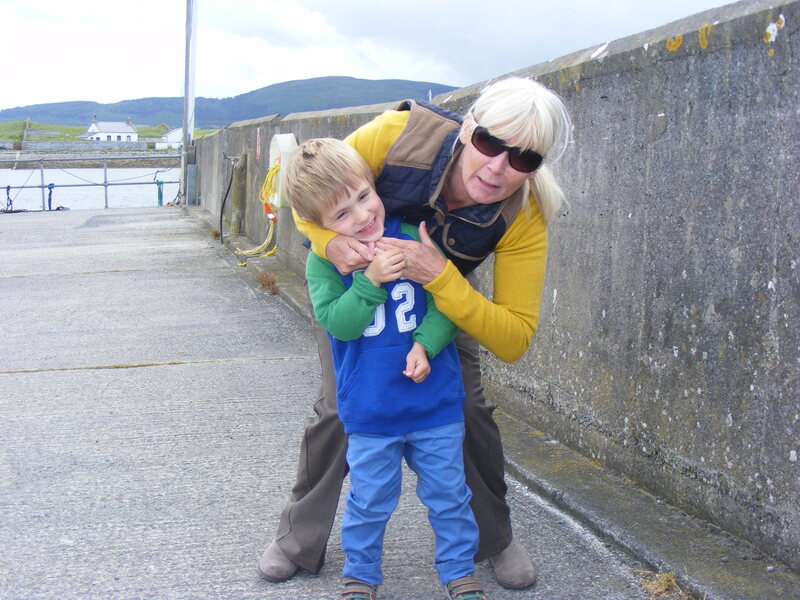 Time – A precious commodity when your child is life limited. 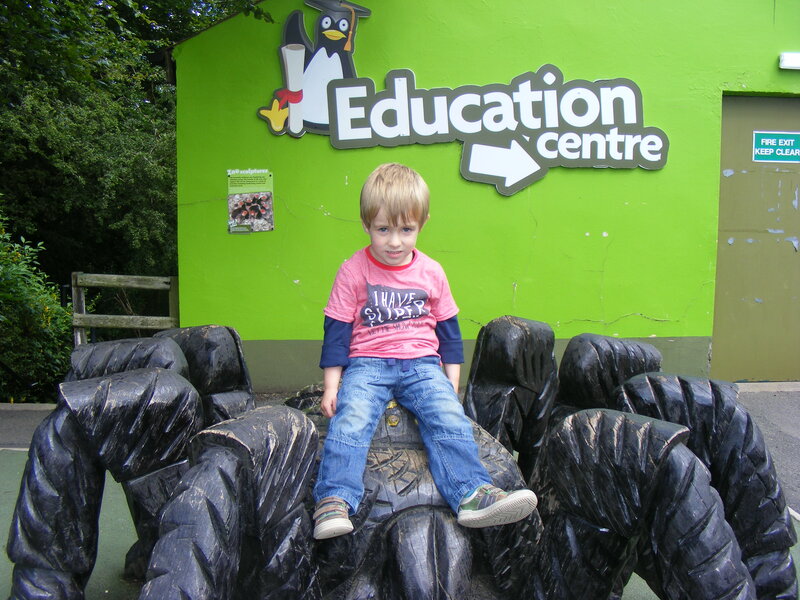 Now that the time has come so quickly for Luke to start school, it makes me realise just how fast time is moving on. Before Luke finishes Primary 1, he will already have lost about 30% of muscles. So as I wave good bye to my smiling little boy on Friday morning and watch him disappear into that class room, I’m also waving good bye to yet another day with no treatment to save my son. Will they ‘get it’? – Tomorrow I will send my first born off to spend the day with people he doesn’t know. They are good people, people I trust, people who I believe have a genuine love of children and who will do all it takes to make sure that Luke and all the other pupils in the school have a fun and fulfilling learning experience throughout their seven years at the school. But I also worry, because like most people Luke meets, they don’t know about his condition. Will they understand when something is too much? Will they understand when misbehaviour is out of sheer frustration because he is unable to do the things his peers are doing? Will they be able to comfort him when his worries about being different overwhelm him? Will they be able to watch him all the time with a school full of other kids too, to make sure he doesn’t get knocked over? Making Friends – With already poor social skills I worry about how Luke will make friends in school. How does a kid make school friends when they can’t play football, or ride a bike, or climb the fences? How will he be picked for a team when he can barely run, let alone win a race or jump over a ball or swing a hurly bat? Will the other children want to be friends with the boy who uses a buggy? Will there be at least one kid who will see all the things Luke can do and want to be his friend? Will he find a friend to help him up off the floor at story time and who will sit with him at lunch time? Who will wheel him around the playground in his chair at break time when he loses the use of his legs? I don’t want my happy care free little boy to be lonely. When will he notice he is different? Right now Luke is completely oblivious to his condition and he is a happy smiley wee man because of that. He is just a typical 4 year old boy. But, after starting school, it will only be a matter of time until he notices that he is not like all the other boys. When he asks questions, will I be able to assure him that he is perfect just the way he is? Will I be able to tell him about his condition in a way that doesn’t scare or worry him? I hope and pray that his self-esteem and confidence isn’t knocked by feelings of inadequacy. My little man is perfect and he will grow into a loving, capable and talented young man. But will I be able to help him acknowledge all the things he can do that are so much more powerful than all the things he can’t? What if he is bullied because of his illness and treatment? – It’s a kid thing, or maybe just a human nature thing, to poke fun at things and people who are different. What happens when the other kids notice Luke’s differences? He won’t be able to run as fast, he’ll lag behind his class mates in the queues; he’ll use a buggy on school trips and need help to go to the toilet. Eventually he won’t walk at all and probably won’t be able to write very well as the muscles in his arms weaken his hand grip. Long term steroid use will make him shorter that the other kids his age, and he’ll get knocked over like a feather. Steroids will give him brittle bones so he won’t be able to join in games where his bones could get hit. What if other kids find out his prognosis? Will they tease him because they will grow up and he will not? Will they tell him that this cruel disease will take his life way too early and if so how will he cope with that? Will school life be his whole life? Let’s take a little look back to the boys in our family who lost their lives to Duchenne. My brother, Luke’s uncle Mark, had not yet finished school and my three uncles were barely out of school when they died. Unless we find a miracle, then Luke will face the same fate. And if school life will be his whole life, will it be fulfilled enough? Will it give him enough opportunities to laugh, to love, to learn, to grow and to know himself? Will it make him feel like he had an accomplished life? There are lots more reasons why the thought of Luke going to school scares the life right out of me but in that respect I guess I’m no different from every mummy sending their first born off to big school. But I know I have to let him on his way to grow, to learn, to live, to love and hope that it is everything it needs to be to give him a fulfilled life. ‘’There’s a sorrow and a pain in everyone’s life, but every now and then, there’s a ray of light that melts the loneliness in your heart and brings comfort like a hot soup and a soft bed’’ (Hubert Selby Junior, Requiem for a Dream). There is a loneliness in raising a sick child that only a parent of a sick child will ever understand. That sorrow and that pain is ever constant. For me I feel that sorrow a thousand times I day. I feel it when I look at my sleeping son. I would love, if for just one night, I could look at Luke sleeping and not think of all the things I know will happen to him. I would pay any amount of money for just one night of peace, one night where I could look at my sleeping baby and simply smile and switch off. I feel it every time he hugs me. Hugging is our absolute favourite thing to do. I think we could cuddle all day long, but I know that the day is coming when Luke will not be able to lift his arms to hug me and that makes the joy so bitter sweet. I feel it every time I stand at my back door to watch him playing. He always looks so happy, so energetic and it breaks my heart that in just a few years he won’t even be able to walk, and I worry about how I will help him find enjoyment as his muscles quickly waste away on him. I feel that pain from knowing that my son is life limited, that one day, too soon, I will say goodbye to him for the last time, that his life will have ended but mine will continue. That is a time I have concealed nicely away in the farthest reaches of my head, an event that fills me with such dread that I don’t think I could function if I accepted the reality of it. I feel it with every wondering: will today be the last time he climbs into bed himself? Will today be the last time he walks the 200 yards to the shop? Will today be the last time he pedals his specially adapted tricycle the 2 feet at a time that he is able to manage? Will today be the last time he gets off the floor unaided. I must have at least a hundred of these wonderings every day. That loneliness has been somewhat eased by the support and love that has been shown to me, my son and my family, by friends and strangers. By a community that I am proud to be a part of. 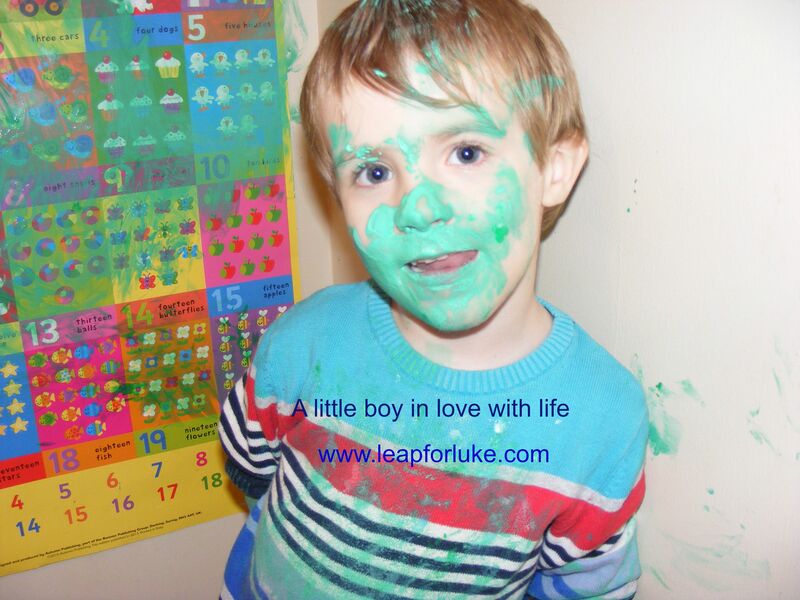 Since the inception of Leap for Luke, just a few months after diagnosis, our community has raised tens of thousands of pounds to fund research into lifesaving treatments in the name of Luke and my little cousin Brian Og McStravog. They say that the only thing stronger than fear is hope, and I live my life on a fine tight rope. On one side is the fear of losing my son. The fear that Duchenne will win, as it always does. On the other side is that glimmer of hope that we will find something that will buy Luke and Brian Og some time. Hope that I may not have to face a life without my child. This support from our community means that for the most part, I can sway slightly towards that glimmer of hope. And it is that hope that gets me up in the morning. That allows me to give my son an ordinary life. That gives me the strength to leave him every morning to go to work to provide for him and his brother. That allows me to be just another mummy, a mummy so in love with her children. ). It has been the lady in the shop who asked how Luke is doing and actually wanted to know. It’s been the comment from a stranger on social media that tells me that my son is in their prayers. It’s been the person who still asks if I want to join them for a drink, even though they know I’ll say no, because every minute is precious and I never want to leave my boys. It has been in the efforts of our local media to help us raise awareness of Luke’s condition without ever expecting anything in return. It has been in those who have given us the opportunity to share our story beyond our community. It has been in the heart of our 8 year old niece who gave half her loom band money to find medicine for Luke. I could write a list as long as the Nile of all the ways that people have supported us without ever putting their hand in their pocket. Their support is of equal value to the pounds and the pence that will one day go a long way towards saving, hopefully my son, but definitely the next generation of boys with Duchenne. These things will not directly cure my son. They will not erase the fear that I live with every day. They will not stop my heart ache. But they carry a value so priceless, so immensely powerful that I don’t think the words exist to explain their value. They give me comfort as my heart continues to break into pieces so small that I don’t think it will ever be fully repaired. They let me know that my child is loved and that people genuinely care about him. I know that he will grow up feeling the love of a community who hold him in their hearts. They motivate me so that I can try to inspire others to help us find treatments and cures for our boys, treatments that are a very real possibility; treatments that are so close I can almost touch them but so far that I don’t know if they will be here in my son’s life time. They let me know that I am not a failure, that somehow in the midst of my own sorrow, I have managed to inform at least one community of the cruel and fatal consequences of Duchenne. On my darkest days, they let me know that it’s ok to not be ok; that its alright if I just can’t talk today because if I open my mouth to speak I will cry and I don’t know when I’ll stop. They make me genuinely smile, genuinely laugh. They melt the loneliness in my heart. Without that support I’m not sure just how I would manage to survive. So to everyone who has reached out to us in our journey, I thank you for being my hot soup and soft bed. For giving me an inner strength I never knew I had. And one day, when he is older and more able to understand, I will tell Luke about all of you and he will be just as proud of his community as I am.